This is our busiest period for sessions. It is great that the sessions are so full and testament to the fantastic job the coaches do, but we want as many of you as possible to have a fair chance to train with us. To do this we also need your help - so if you’re booked on a session but can’t make it please be sure to cancel your spot as soon as possible so that someone else on the waiting list can use it. For information for any new members, and as a reminder to other members, sign up for sessions opens 45 minutes after a session finishes and closes shortly before a session starts. With two races to go the women are in a great position to take the league! Good luck everyone! Due to the current weather conditions and the fact the forecast for Sunday morning is currently -1 at 9.00amthere will be no club rides this weekend. If you do go out wrap up warm and stay safe. Following on from last week's newsletter, welcome to the new feature of the weekly email - Captains' Corner. 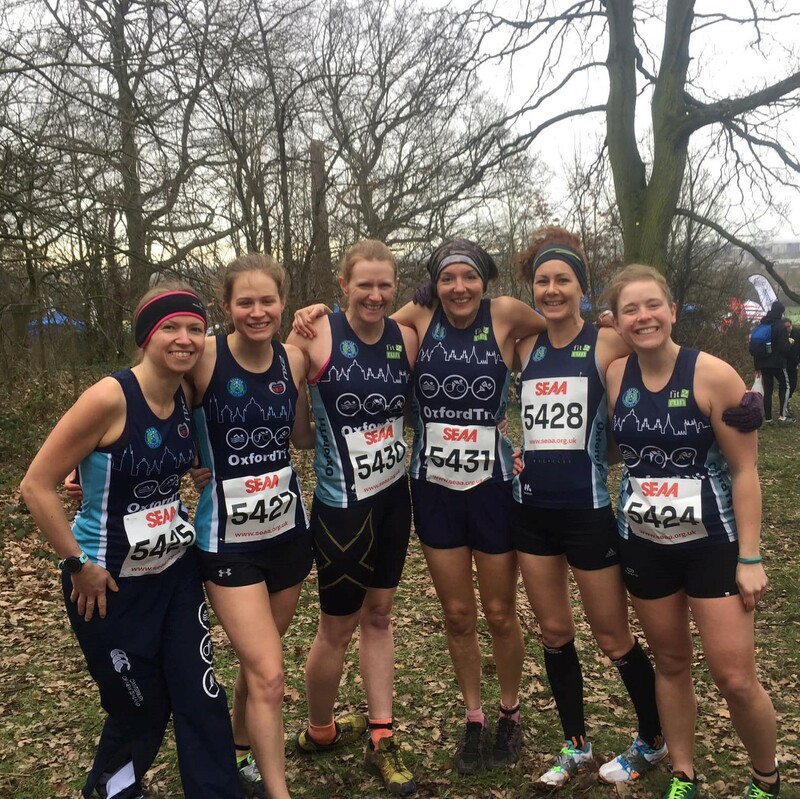 This week is a race report from Parliament Hill by Lucy Dighton. We would like to make this section interactive, so please provide your questions or stories to Sarah and Dan at captains [at] oxfordtri [dot] co [dot] uk and they will add one per week. 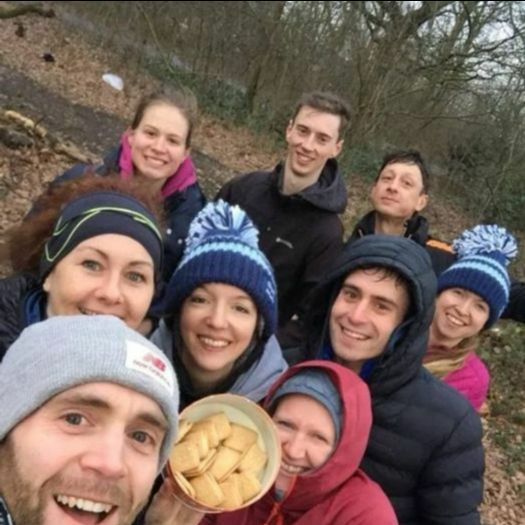 Last weekend was the Southern Cross Country Championships at Parliament Hill on Hampstead Heath and Dan had arranged for a group of the English Athletics members of OxfordTri to go along. Frankly I have no idea what I was doing there - I don’t think I had really registered the fact that it was any kind of championships when I signed up. But actually what I have discovered about cross country is that a really variable bunch of abilities take part and the social aspect of it is great. You don’t have to be an amazing runner (although there are plenty of those there) to enjoy it and also really push yourself whatever level you are. Anyway an hour or so later the girls team found ourselves shivering at the start line in the drizzle. It was hard to hear the whistles for the 3 mins and 1 min count down but there was no mistaking the gun that signalled the start and we were off straight up the hill. As with any race it’s hard not to get carried away at the start, but the adrenaline helped make the first hill go very quickly. Then straight back down the other side into the mud. The challenging nature of the course continued - if you weren’t running up or down (a very muddy slope) then you were running on a camber. I was very glad of my spikes. Although those with trail shoes seemed to be coping ok too, I think the spikes gave surer footing. They weren’t without their disadvantages as well - at one point I had to stop to pull off a large piece of bark that one of the spikes had impaled. As I came round to the start of the second (longer) loop I was still questioning what I was doing there, but as I got past the halfway point I was feeling good. I made it past the horrible hill through the back woods for the second time and then it was all (mostly) downhill from there. The last kilometre was mostly downhill and super exhilarating. In typical low key cross county style there was no finish banner so I didn’t actually see the finish until I was nearly across. The boys team had just started their 15km of mud and hills and so it was back to base camp to cheer them on. Whatever you think about the segregation in Cross Country (and I agree having different distances for men and women is a bit last century...) it’s really nice being able to watch and cheer on some of the other members of the club, and it means those of us with kids to look after can both run. I was pleased not to come last and there were some great performances from the other members of the OxfordTri team, especially Rebecca Duxbury who came in the top 10% of the women’s results. No mean feat given the general standard of the runners there. Cross country has unexpectedly been a really great part of my winter training this year and I would encourage anyone of any ability to give it a go next year! Sign up and session details here.